Everyone faces some sort of stress in their life, and when you are stressed, very few things beat a good massage. Heck, even if you’re not, who turns down a nice, relaxing massage? The only trouble with massages today though is the process of actually getting one can be pretty stressful in itself. 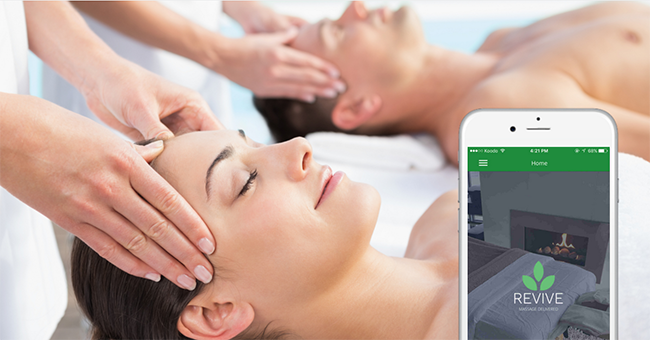 Enter Revive, a new on-demand company that’s making massages easier to access. Who are you? Tell us about your business and what inspired you to create it. I’m the Co-Founder and Chief Marketing Officer at Revive. What has been the most challenging part about running this business and how have you addressed it? Clear messaging that we are a healthcare provider and nothing else. We are very clear with our clients and staff about the safety and trust required to have an enjoyable and relaxing experience. How has Vancouver’s rising startup community played a role in the development of Revive? The startup community is prevalent in Vancouver, and it’s nice to be surrounded by so many innovative and courageous leaders; and It’s exciting to be part of the online to offline business and cutting edge tech. What core problem is your company specifically solving and/or what’s the main value you provide? A phenomenal massage and instant relaxation – some of our clients say it’s the ultimate hangover cure are well. No more valet charges, being at the mercy of the spa’s schedule, booking a babysitter, waiting; just clicking a few buttons and within an hour a vetted massage therapy professional shows up at your door. How did you end up becoming an entrepreneur and what challenges did you personally overcome to succeed? I met investors through winning 40 Under Forty. The challenges I’m adjusting to is wearing multiple hats (successfully) as the focus is a great product and not beefing up staff just to make life easier. What entrepreneur has inspired you the most for running your business and what makes them so special? I would have to say Shafin Diamond Tejani. Outside of his entrepreneurial work, Shafin has contributed significant time to charity and community work. He has done thousands of hours in volunteer work and has helped raise over $75 million for school programs, community organizations and awarded over $250,000 in scholarships to students. He has donated so much of his time, knowledge and financial resources to local not-for-profit organizations. He is one of the most humble people I have met and worked with. What Vancouver celebrity/influencer would you most be excited to have as a member of the team and why? The brains behind Revive and the ambassadors supporting our brand are so brilliant I couldn’t ask for more. What are some accessible resources used and winning habits you have developed to learn and grow as an entrepreneur? Happy hour and a strong rolodex. Don’t be afraid to completely switch industries. The skill sets you have are transferable. What’s your advice for current or future entrepreneurs? Just jump. Jump in. When you get too stressed out…book Revive. Visit Revive and use the promo code VANCITYBUZZ to save $25 on your Mother’s Day massage. Vancouver Entrepreneurs is a weekly feature on the city’s most notable entrepreneurs and startups that are making a local and even a global impact. If you think your venture deserves to be on the series, send an email to casey(at)vancitybuzz(dot)com to explain why you’re a fit.